Cape Town - Ajax Cape Town clinched their place in the Nedbank Cup semi-finals with a 2-1 win over Bidvest Wits in a thrilling encounter at Athlone Stadium on Friday night. The Urban Warriors led from as early as the 14th minute through Tashreeq Morris and they appeared to holding on for a narrow 1-0 victory. The tie would end in dramatic fashion when Bantu Mzwakali doubled the hosts' lead at the death before Thulani Hlatswayo halved the deficit moments later with a spectacular overhead kick. 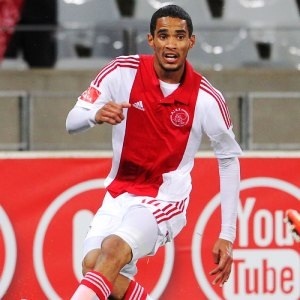 The Clever Boys were on the front foot in the opening stages and created the first chance of the game on 14 minutes when Sameehg Doutie connected with Jabulani Shongwe's cross, but the former Ajax winger steered his volley over the crossbar. However, Roger De Sa's side took the lead against the run of play moments later as Morris struck from close range following superb work from Riyaad Norodien to set the young striker up. Morris could have extended the Urban Warriors' lead on 28 minutes when he found himself clean through on goal, but Moeneeb Josephs was alert to the danger and made a good block. The visitors looked to find an equaliser before the break and Siyabonga Nhlapo went close with a rasping effort that flashed inches wide of Anssi Jaakkola's goal on the half-hour mark. Jaakkola was a busy man in the closing stages of the first half, the goalkeeper making saves from Sibusiso Vilakazi, Nhlapo and Hlatswayo within minutes of half-time to preserve his team's lead. Nazeer Allie headed fractionally over at the other end shortly afterwards before the half ended with Buhle Mkhwanazi wasting a good chance to draw level when he headed wide a free-kick from Doutie. Norodien drew Josephs into a sharp with his deflected shot on 61 minutes before Nathan Paulse failed to even trouble the keeper nine minutes later after a mistake from the Students defence allowed him to break through on goal. Gavin Hunt's men piled on the pressure late on with Fikru Teferra wasting a golden opportunity to equalise on 84 minutes when he raced through on goal but blazed wide of the target. Moments later they were denied an equaliser by the woodwork as Ben Motshwari saw his driven effort come back off the post before the danger was cleared. The Mother City outfit seemed to settle for just the one goal but they would get on the scoresheet again in stoppage time as Mzwakali glanced home a lovely cross from Keagan Dolly. Wits never gave up hope, though, and finally breached the Ajax goal in the last minute of injury time courtesy of Hlatswayo's acrobatic strike.